The pursuit of happiness is, probably, the chief priority that governs the actions of our lives. We each have our individual definitions of happiness, but we focus all of our energies on attaining it. It goes without saying that some people have harder or easier obstacles in their chosen path towards happiness, and some of those barriers could be your own body. In the animal kingdom, happiness is strongly correlated with the abundance of resources and social rank. While most of us can’t ask the animal if it is happy or not, it is safe to assume that the leader of the pack, who eats first and the most, is probably that happiest. A similar parallel could be drawn for us, I suppose. When we have an abundance of the things we want (money, time, youth, energy) and when we are respected by our peers, most of us would view that as a strong step towards happiness. There is an entire branch of science devoted to researching the mechanics of physical responses to perceived happiness. The primary focus is on the brain’s neural activity and the various organic chemicals that are involved in these activities. This is not to say that happiness is merely a chemical reaction, but that there is something to be said about the way our bodies interpret certain experiences and the ways it makes our bodies feel. For example, a full stomach equals a pleasant feeling. An empty stomach and hunger equals a negative. In both of these states, different substances are being produced and interpreted by the body and they accompany specific feelings. There are times in our lives where we sometimes feel under the weather emotionally and even when positive things happen they are overshadowed and we remain in a less than happy state. In situations like this, sometimes you and your body could use a little help to get your body in the mood to be happy. 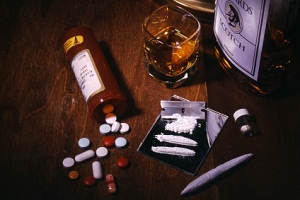 While many people already use substances to try and pursue happiness, many of these do much more lasting harm than the temporary positive feelings they create are worth. There are, however, natural methods to give your body what it perceives as good signals through stimulating the natural production of mood regulating substances that already exits in the body. One of the most important of these substances is serotonin. Serotonin is a neurotransmitter that is found throughout the body with around 80% being produced and collected in the gut. The other largest concentration of serotonin is in the blood platelets. Serotonin is responsible for the rate of muscle contraction in the intestines. The rest that isn’t used in the gut is used by the central nervous system in order to assist regulation of sleep, muscle contraction, appetite and even mood. 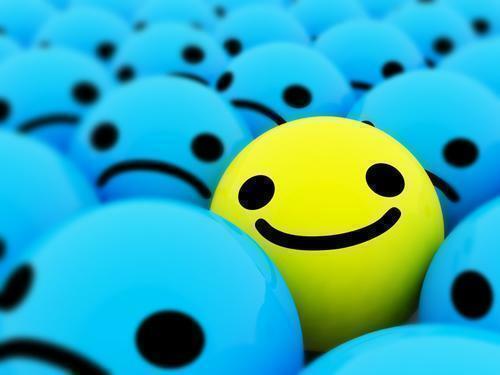 The effects of serotonin on mood are well known and are being continually researched today. Since an excess of serotonin available in the brain is strongly correlated with feelings of well-being, serotonin modulation is the target of many antidepressant pharmaceuticals as well as illicit psychedelic narcotics. Antidepressant medications typically attempt to prevent serotonin from being metabolized into other forms to allow serotonin levels to be increased. Many of these medications can have serious side effects from the unnatural modulation of the body’s serotonin metabolism. The body’s natural process for regulating serotonin starts in the digestive tract. The dietary nutrient needed to start the process is tryptophan. Tryptophan is one of the twenty standard amino acids and it is an essential amino acid because the body cannot synthesize it and must receive it through diet. Its primary use in the body is as a metabolite used to synthesize other vital nutrients, namely serotonin and niacin. The foods richest in tryptophan are predominantly animal meat, dairy products, and certain seeds (pumpkin, sesame, and sunflower). Tryptophan, though necessary for serotonin production, doesn’t become serotonin in just a single step. Tryptophan is too large of a molecule to cross the blood brain barrier and thus cannot be metabolized in the brain in order to create serotonin’s mood enhancing effects. Also, serotonin that is produced elsewhere in the body cannot cross this barrier either. Serotonin must be synthesized in the brain in order for the neurons to be able to use it. In order to achieve this, tryptophan must first be converted into 5-hydrodytryptophan, or 5-HTP. 5-HTP is simply a form of tryptophan that can cross the brain barrier and be converted into serotonin directly. 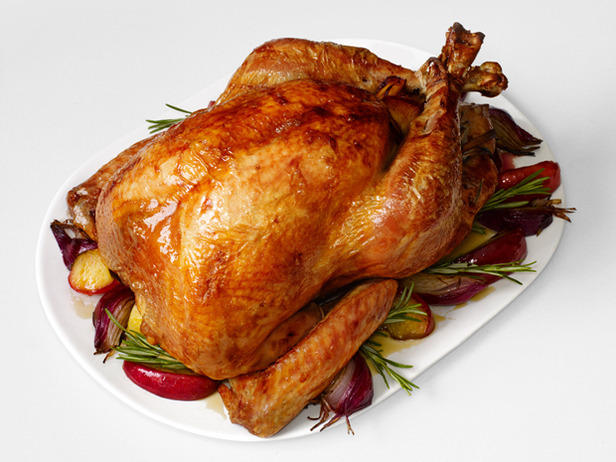 Tryptophan has a long history of research and promise, as well as controversy. Back in the 1970s, researchers were finding that Tryptophan, orally supplemented, was creating positive results in animal trials for depression, epilepsy and other serotonin level based conditions. The results were also proving effective in human trials as well to such a marked degree that it became a widely used natural alternative to antidepressant medications. Tryptophan, however, experienced a major setback just over twenty years ago. One of the largest manufacturers of Tryptophan, Showa Denko KK, a Japanese company, was using genetically altered bacteria to produce Tryptophan and it is hypothesized that this is the reason impurities made their way into Tryptophan products produced by Showa Denko. Denko’s contaminated product. People who took the contaminated product developed a disorder called EMS, which stands for eosinophilia-myalgia syndrome. Its symptoms are flu-like but it resulted in many people becoming permanently disabled and even a few deaths. Because of the irresponsibility of this single offshore company, the FDA in 1991 banned the sale of Tryptophan until 2002 when the ban was lifted in light of its powerful benefits. Because of the mistakes of Showa Denko, manufacturers of Tryptophan radically improved the standards of the purification process to ensure the continued quality of Tryptophan. Since 1966, there have been over one hundred studies conducted on the effects of Tryptophan and 5-HTP on mental conditions like depression, anxiety, insomnia, and physical disorders like primary fibromyalgia syndrome, and Friedreich’s ataxia, which is an inherited nervous system disorder where the nerve tissue of the spinal cord degenerates over time causing numerous and various symptoms ranging from slurred speech to diabetes and heart disorders. Tryptophan is not only used to produce serotonin. It is also a necessary metabolite in the production of the hormone melatonin. Melatonin is a hormone produced in the pineal gland, the tiny pinecone-shaped gland in the center of the brain that regulates and produces a number of important endocrine substances. Melatonin’s primary purpose is in regulating sleep patterns. Melatonin is produced primarily at night (giving it the alternate name “hormone of darkness”). It is also a powerful antioxidant and just recently it was discovered that melatonin might also have a significant positive effect on the immune system. In 2005, a group of researchers conducted a review of randomized controlled trials that were studying the effects of melatonin on almost 650 cancer patients. The results showed that melatonin significantly reduced the incidence of death. While this is a strong finding, much more research is needed in order to understand the mechanics behind these results. Both tryptophan and 5-HTP are available in supplement form; however, different people experience different results with both forms. Some do better on regular L-tryptophan while others experience better results taking 5-HTP. It’s best to consult with a qualified medical professional in order to determine which form should be best for you. Both serotonin and melatonin need tryptophan in order to be made. In order to perform their vitally important roles in the brain, the body needs Tryptophan. While it may seem like a fantastic reason to stuff yourself full of tryptophan-enriched Thanksgiving turkey on a routine basis, it is clear that it takes much more than that to achieve real happiness… Turkey helps though.